In January 2014, SDC confirmed that it is developing a QHD (2560x1440) AMOLED panel. 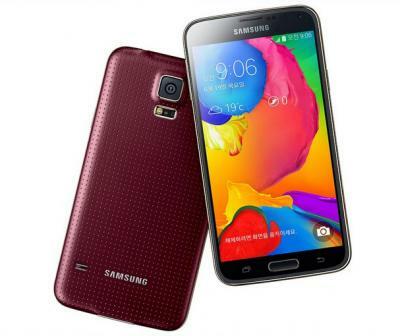 Today the company announced a new phone for the Korean market, the Galaxy S5 LTE-A which sports this new 5.1" QHD panel. This panel reaches a very high PPI (577) which makes it the world's highest density AMOLED, and probably the highest density mobile display (beating LG's G3 display which is a 5.5" QHD LCD, 538 PPI). We don't know much about this display, but it probably uses some kind of Pentile display (or Diamond Pixel like the GS5). While this phone will probably be exclusive for Korea (it will be released via SK Telecom later this summer), hopefully Samsung will also release a similar upgraded GS5 phone with a QHD panel worldwide. It's also likely that the Note 4 will sport a QHD panel too. Samsung, by the way, does not plan to stop QHD. The company is actually developing a UHD mobile display - that will reach 870 PPI (!). The S5 LTE-A is also the first phoene to use Qualcomm's Snapdragon 805 CPU, at 2.5Ghz. Other features include LTE-Advanced (which supports speed up to 225 Mb/s! ), 3GB RAM, 4K video playback, Android 4.4, 16 MP rear camera, 2,800 mAh battery, heart rate sensor and a fingerprint scanner. Like the GS5, this phone is waterproof and dustproof. Google working on a new Android 4 phone, to sport a Super AMOLED HD display?